How one village in Ethiopia is doing whatever it takes to bring water, health, and hope to their community. The water crisis in Ethiopia is severe, but one village is doing whatever it takes to bring water, health, and hope to their community. The parents in Kajima, Ethiopia have gone to great lengths to give their children the education that they never had. 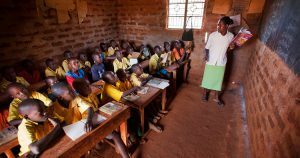 They built the local school with their own hands, classroom by classroom, with sticks and clay, starting with the first grade. But there’s still a big problem. 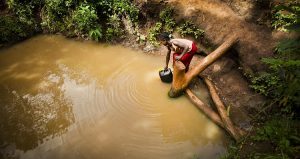 There is no safe water or sanitation in Kajima. Despite this setback, the parents’ persistence is paying off. Before the government sent professional teachers, the parents and community leaders took turns teaching the subjects they knew. Today there are five full-time teachers and 200 students. Later this year, they will build a new classroom for Kajima’s first class of sixth-graders. The water crisis in Ethiopia affects so much more than needing clean drinking water – it prevents children from continuing their education. The parents in Kajima are willing to do whatever it takes to keep their children in school. This year, they’re working with Lifewater to get a reliable source of safe water in their community as well as latrines and handwashing stations in homes and at the school. Their dream is to give their children the opportunity for growth and fulfillment through education – something they didn’t have, but for which they have already sacrificed much. With the health and stability that water and sanitation will bring to the children of Kajima, they won’t be running in place anymore. They’ll be sprinting ahead.